If you are a senior looking to move in your retirement, keep these important considerations in mind as you search for your next home. For seniors who are looking to move, there are a few crucial considerations to keep in mind. From deciding whether to rent or buy your next home to determining where you would like to move next, there are several factors to consider along the way. If you are a senior looking to move in your retirement, keep these important considerations in mind as you search for your next home. As you are determining whether to buy or rent your next home in retirement, one of the first things to consider is what the benefits of buying would be at this time. Are you looking to invest during your retirement? Or are you simply looking for a new place to live? The consideration of which solution would benefit you financially during your retirement should be a key factor in your decision. For some seniors, buying a home may be beneficial for investing in a property that may be kept in the family long-term. For others, renting may be the best solution if there is any uncertainty in the future. What is Your Motivation for Moving? Motivations for moving differ with individuals and families of every age. However, for many seniors, motivations for moving can range from seeking a single-level residence to moving closer to their family. No matter what your motive for moving is at this time, it is crucial to consider both short term and long term goals of your move. For example, if you are choosing a location based on your ability to walk into town, it is crucial to consider whether or not this point may still apply in the next 5-10 years. Which Type of Home is Best Suited to Your Needs? While a certain type of home may be appealing right now, it is crucial to consider whether or not that type of home may lose its appeal in the future. As you are searching for your next home, whether you choose to rent or buy, consider which type of home will best fit your needs in the long term. The type of home that you are looking for could be dependent upon factors such as proximity to medical centers and family, as well as your health and physical ability to climb stairs as you age. 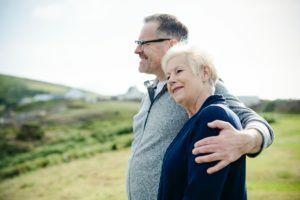 For seniors who plan to buy a home in retirement, it is critical to consider your long term needs, as they will ultimately determine which home is the best fit for your future.